Enjoy three magnificent nights in California including rounds at Aviara Golf Resort and Torrey Pines - home of the LPGA Kia Classic plus US Open respectively. From San Diego we fly to Augusta ready to enjoy up to four days at the Masters as well as playing rounds at some of Augusta's best courses. Welcome to Los Angeles! Hotel check-in is available from 3pm. If you arrive earlier you may store your luggage at the hotel and explore the surrounding areas - why not soak up the Californian sun at nearby Manhattan Beach or Venice. This evening you will be introduced to your Fanatics tour rep & fellow travellers and enjoy a beverage together at the hotel lounge. This morning we make the 90min trip down the breathtaking southern California coastline to San Diego where we will be based for the next two nights. Today's round is at the magnificent Aviara Golf Club, voted in the top five US resort courses by Golf Digest Magazine. With the course hosting the LPGA's Kia Classic the weekend prior to our tour each year, the course is always in immaculate condition for our round whilst the service provided by the club is second to none. Green fee, motorised cart & range balls are all included in your Fanatics tour price. Top quality club rental is available to pre-book for USD $85 (including taxes) for those not bringing their own clubs on tour. An array of souvenir Aviara golf apparel is available to purchase in the pro shop. This evening we enjoy our first evening in San Diego staying at the stylish Hilton Hotel La Jolla. Located on the cliff tops of the Torrey Pines State Reserve, the hotel overlooks the legendary Torrey Pines Golf Course and the majestic Pacific Ocean. Ensure you bring your swimmers to relax in the hotel's heated pool & spa. Today we take on spectacular Torrey Pines South Course - home of the PGA Tour's Farmers Insurance Open and host of the 2008 & 2021 US Open. Green fee, motorised cart & range balls are all included in your Fanatics tour price. Top quality club hire is available to purchase for USD $65. The pro shop stocks a large range of souvenir golf apparel. After relaxing following our round, this evening you have the option of heading to downtown San Diego with your Fanatics rep & fellow travellers to explore the city's famous Gaslamp Quarter where you will be spoiled for choice with dining options and sports bars aplenty. The San Diego Padre's Petco Stadium stands alongside the Gaslamp Quarter and pending the 2019 MLB schedule you will have the option of purchasing reserved tickets for tonight's home match. After two magnificent days of playing golf, we check out of the hotel this morning and board our flight from San Diego Airport to Atlanta Airport then onward transfer to Augusta. One checked bag up to 23kg is included whilst golf bags require a $35 supplement. Our morning flight normally departs San Diego 8:40am / arrives Atlanta 5pm (includes 3hr time zone difference) followed by the very comfortable two hour transfer down Freeway 20 to Augusta. This evening is our Augusta welcome evening complete with complimentary local beers, wine and snacks together with your fellow Fanatics. There are several dining options alongside our Augusta hotel each evening. As usual our complimentary evening drinks & snacks will be ready and waiting at the hotel when you return from Augusta National for another fantastic evening of socialising. This is it, round one of the 2018 Masters! Once again we walk to Augusta National early, ready for a full day of golfing action starting with the traditional 1st tee ceremony featuring the game's past great champions. With the field divided into groups of three and tee-off times right through to 2pm it's the perfect opportunity to follow a variety of stars around all 18 holes as well as spend some time seated in the stands (or on your $30 folding chair available from the merchandise stores) alongside your favourite green or tee. We ensure you are able to soak up absolutely everything the Masters has to offer - from the practice range to the day's first drive right through to the final putt on 18, you won't miss a minute of the action (play finishes around 7pm). You are most welcome to watch the golf with your fellow Fanatics or do your own thing - the choice is all yours. Today we enjoy our third round of golf on the tour with 18 holes at the stunning Forest Hills Golf Club in Augusta. Green fees, motorised cart, range balls and lunch are all included in your package price. 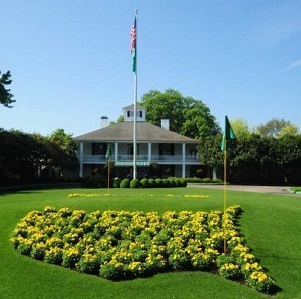 Please note - if you do wish to attend the Masters on Friday instead of playing golf at Forest Hills, please contact Fanatics office to receive a quote for adding Friday's badge to your package. Today you will either be enjoying a full day at Augusta National witnessing 'moving day', or enjoying our fourth round of golf for the tour with 18 holes at the magnificent Woodside Plantation (make your selection during the booking process). For those who choose to attend the Masters today it is always a fascinating experience at Augusta National...yes it's 'moving day'. With the field cut to the top 50 players plus ties it's make or break for most of the field; be prepared to witness some aggressive golf that will end in heartbreak for many and a surprise surge up the leaderboard for others. For those playing golf today you will be treated to 18 holes of truly challenging yet beautiful golf at the exclusive Woodside Plantation in nearby Aiken. Green fees, motorised cart, range balls and lunch are all included in your package price. After returning to the hotel our complimentary evening drinks & snacks will be ready and waiting in the lounge area as we prepare for all the excitement of tomorrow's final round of the Masters. Prepare to witness history today as the world's best battle for their slice of glory. We walk to Augusta National bright & early again this morning to ensure you are one of the first through the gates and able to soak up every moment of the Sunday Masters experience. Today presents a great opportunity to explore any holes you haven't seen as yet plus follow some of your favourite players hitting off early, before attention turns to the leaders around Amen Corner & the closing stretch of holes. If you're keen to secure a perfect viewing spot on the 18th green your experienced Fanatics reps will show you exactly where & how. The atmosphere around the course as destiny nears for one lucky golfer is simply unbeatable this afternoon, here's hoping there's a few Aussies in the mix! To truly complete your Masters experience, we always stay for the presentation of the green jacket before bidding farewell to Augusta National. Fanatics operate a one-way transfer to Atlanta Airport domestic terminal on Monday 15th April. Departs our hotel 8:30am / arrives Atlanta Airport approx 11am. Pre-bookings are essential.